The Russian Emergencies Ministry said the bodies of all ten crew members have been found at the crash site of Il-76 aircraft that went missing on Friday morning in Russia's Irkutsk Region. MOSCOW (Sputnik) — The bodies of all ten crew members have been found at the crash site of Il-76 aircraft that went missing on Friday morning in Russia's Irkutsk Region, the Russian Emergencies Ministry said Monday. 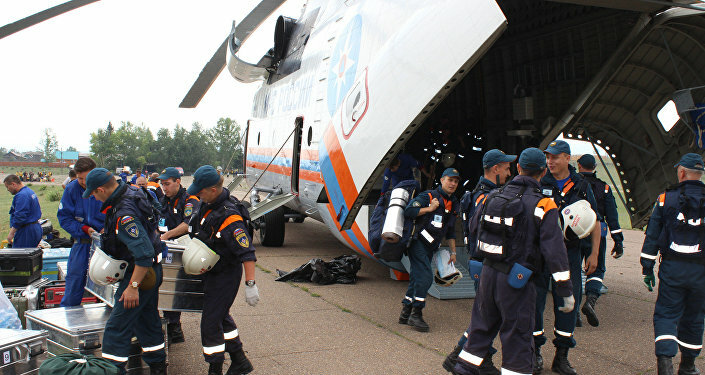 "During the search operation at the crash site… two more bodies have been found… Thus, bodies of all crew members have been found, " Head of Siberian Regional Center of Emergencies Ministry Sergey Didenko said. On Friday, an Il-76 aircraft working in territories stricken by forest fires in Russia's Irkutsk Region failed to report back to rescuers at the scheduled time.